Tezuka Osamu is heralded as an icon of the Japanese manga movement – acknowledged in Japan as an artistic master and revered as the figurehead of the manga and anime industries. 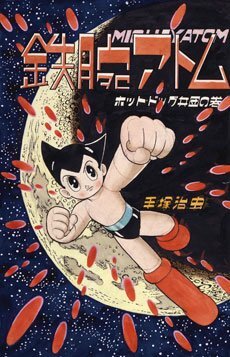 Creating over 700 manga titles during his lifetime, he is best known in the West for his cartoons of Astro Boy and Kimba the White Lion, which were serialised for television in the 1960s. Tezuka’s work is acclaimed for its complexity and originality and his drawings showcase an extraordinary calligraphic dynamism. His prolific manga work contains two main streams: manga 'comic pictures’ for a youth audience, including Astro Boy, Kimba and Princess Knight; and gekiga 'drama pictures’ – more seriously-toned, adult-oriented narratives such as Song of Apollo and Ludwig B, which stress realistic effect and emotional impact. This National Gallery of Victoria touring exhibition in association with Tezuka Productions features both aspects of his work, introducing Western audiences to the complexities and extraordinary range of the manga form.